The long-term nutrient fertilization experiment was established in 1970 to measure the effects of frequent applications of organic (i.e. animal slurry) and inorganic (i.e. NPK) nutrients on plant productivity and soil biogeochemistry. The experiment consists of eight treatments: (1) unfertilized control, (2) inorganic fertilizer (200 kg N, 32 kg P, 160 kg K ha-1 year-1), organic nutrient fertilization applied as three pig slurry levels (3) 50, (4) 100 or (5) 200 m3 ha-1 year-1, and organic nutrient fertilization applied as three cow slurry levels (6) 50, (7) 100 or (8) 200 m3 ha-1 year-1. There are six replicates for each treatment thus giving 48 plots in a randomized block. The fertilizer and slurries are applied in three equal dressings, first in the spring and then immediately after the first two cuts. The herbage is cut three times at the silage stage. Soil samples are collected at three depths in February. Air dried soil is analysed for pH, extractable P and exchangeable K and Mg. Oven dried herbage is digested and subjected to multi-element analysis. 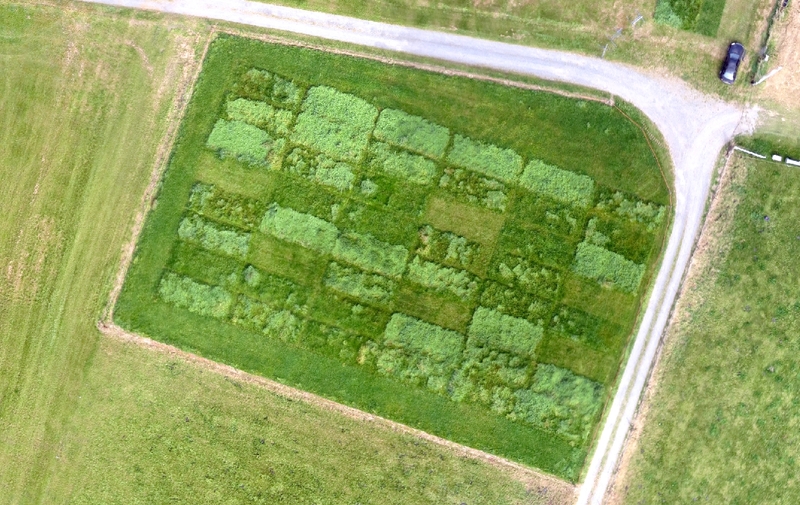 This is a unique facility to study the effects of long term applications of organic and inorganic nutrients on plant productivity and soil processes.